What do we export ? Paraview/Paraweb (Open-Source, Free): Ensight, Ensight Gold, HDF5+XDMF. Run an interactive docker container using Feel++ toolbox image. Open Feel++ export file in paraview. (default exporter "EnsightGold"). To run the paraview server. 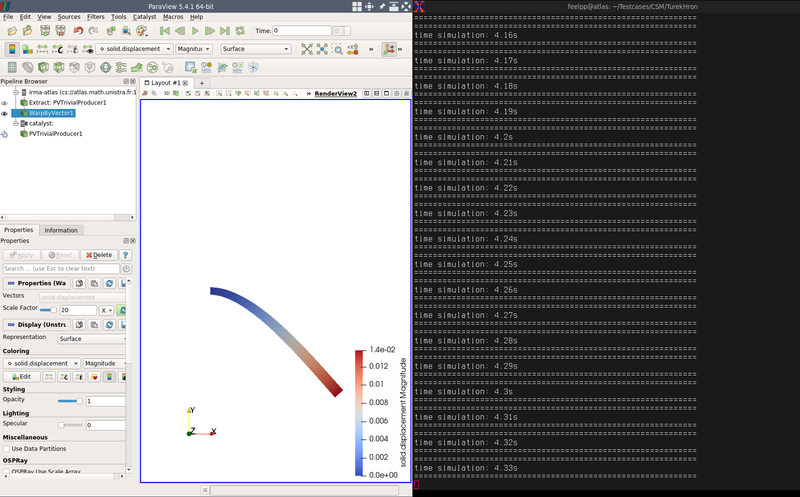 Open paraview to configure remote insitu (catalyst). to establish a remote connection. Run a feel++ application using "VTK" exporter. And that’s it! Get back to docker the steps.